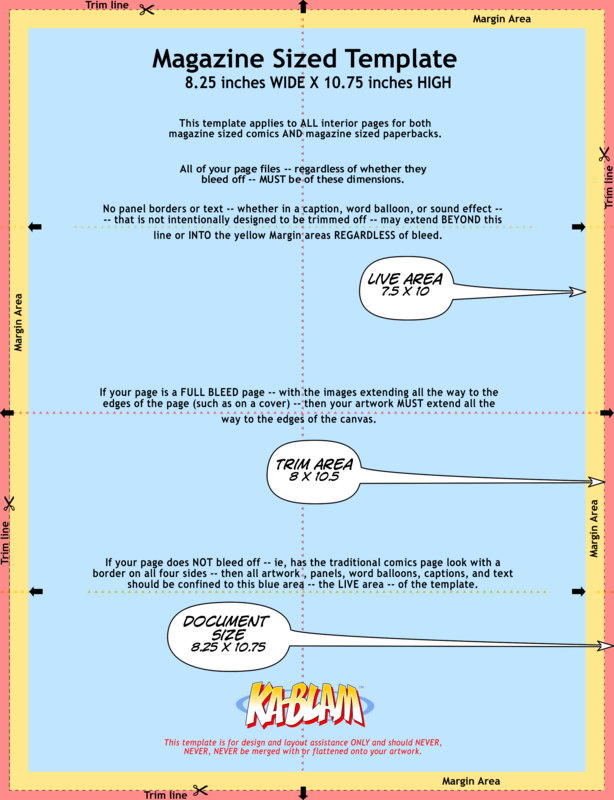 This template applies to all pages for magazine-sized comics and magazine-sized paperbacks. PreviousAm I surrendering any rights to my comic by listing it at IndyPlanet? 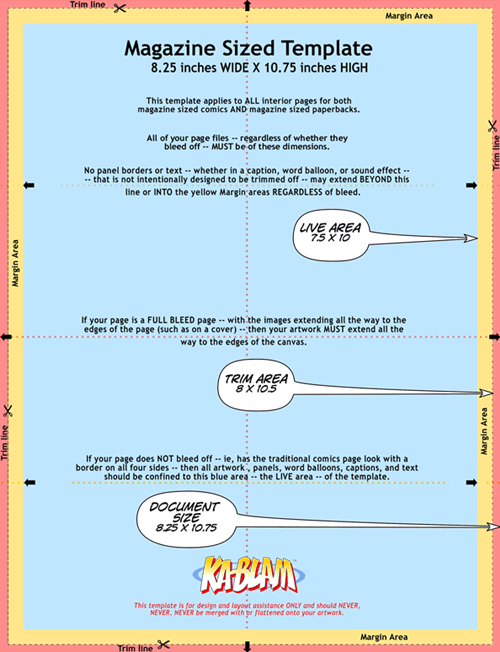 NextWhat are Ka-Blam Sketch Covers?